When it comes to large-scale, mission-critical workloads, INFINIDAT leads in enterprise storage by focusing on the evolving requirements of the datacenter. Our unique, flash-optimized storage architecture addresses the rise of real-time analytics, performance, availability, and reliability transforming the modern datacenter. As future trends point toward the consolidation of primary and secondary applications on a single storage platform, we continue to scale to meet and exceed the most demanding workloads. In fact, we’re seeing the execution of real-time analytics as the key business driver that is fundamentally changing the scale of computing and memory. We see an ever growing need for consistently low latencies, millions of IOPS, and our groundbreaking seven-nines availability; in addition to the ability to handle growing petabyte (PB) scale data sets. For our customers, data driven applications and real-time analytics have now become the lifeblood of their businesses, and any disruption to data flow, even for a split second, runs the risk of failure for the organization — the functional equivalent of enterprise-level cardiac arrest. When workloads mandate real-time delivery and analytics, any loss of data integrity or downtime puts revenue, SLAs, patient care, protection of digital assets or competitive gains at risk. The imperative of Digital Transformation requires real-time mission critical availability. Data analytics drive process automation, workforce mobility, supply chain efficiency, and even impact the customer experience with real-time information. Our customers have shown that new business models are driving increasingly data centric services and digital commerce at scale. This compels them to innovate faster while managing risk with increasing precision and confidence. On July 19, 2016, Brocade introduced the industry’s first Gen 6 family of Fibre Channel directors. The Brocade networking portfolio for advanced Gen 6 Fibre Channel further unleashes the non-stop availability, incredible performance, and operational stability of INFINIDAT solutions and enables our customers to achieve their advanced data center goals. The combination of both INFINIDAT and Brocade technologies create a unique solution to enable mission critical execution for the most demanding production environments. 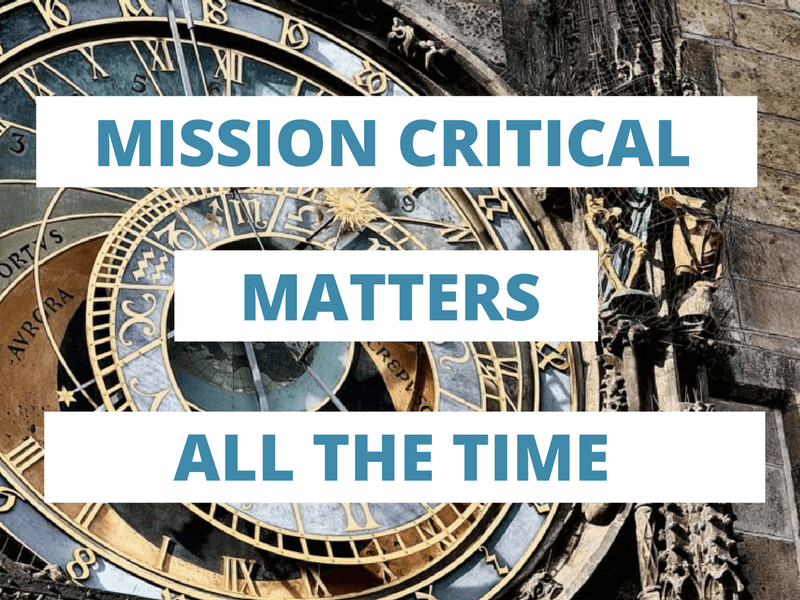 When Does Mission Critical Matter? It Matters All the Time! Brocade Gen 6 storage networking is a key enabler for modernizing and future-proofing data center infrastructure. As customers move to digitize their businesses and adapt to new workloads, they need a modern storage network that supports business agility. Fibre Channel fabrics are the common thread that connects organizations to their most critical applications and data, 24/7, all the time with zero downtime. This is why 96% of financial institutions, insurance, and retailers rely on Fibre Channel as the most trusted network infrastructure for storage. Brocade Gen 6 products are defined by 32 Gbps performance which accelerates application response time, eliminates IO bottlenecks, and unleashes the full performance of INFINIDAT storage. INFINIDAT’s partnership with Brocade enables us to provide expanded solutions to our customers, and we are proud to offer the Brocade Gen 6 Fibre Channel solution through our strategic alliance as an authorized reseller of Brocade’s portfolio. In fact, Brocade’s Gen 6 announcement is a strong foundation for our broader innovation and co-development efforts in the future. The Brocade Gen 6 Fibre Channel products include Fabric Vision technology with ground-breaking integrated monitoring for storage I/O visibility. Brocade Gen 6 Fibre Channel connects older generation devices and storage networking equipment with two generations of backward-compatibility that is future proofed to integrate with next-generation NVMe over Fabrics without a disruptive rip and replace. Brocade Gen 6 will unleash the power of INFINIDAT technology, while maintaining the most trusted, reliable, and highest performing network technology available, enabling outstanding performance with our advanced storage solutions.